Although knowledge of the development and differentiation of glial cells has significantly increased in recent years, there are still many questions unanswered. The first section of the book is devoted to this very active topic and includes contributions on Schwann cells, oligodendrocytes, astroglia and microglia. The second section of the book covers cellular interactions, the role they play on myelination and remyelination, how these interactions take place and the molecules involved. 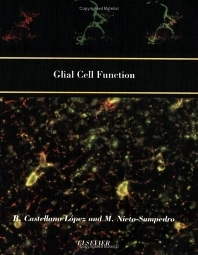 The third section of this volume focuses on the interactions of neurons with glial cells and their role in brain function. Neuron-glia cross talk appears to be fundamental for synaptic transmission and several chapters in this section address this topic. The topic of how glial cells react to brain injury and how they participate in neuroprotection and brain repair is covered in section four of this book. As our knowledge about the molecules involved in the regenerative properties of glia increases, new avenues are open for the use of genetically modified glia with therapeutic purposes. The final section of the book is devoted to therapeutic approaches to tumours, viral and prion infections. Gene therapy is a promising approach for the treatment of gliomas, one of the most devastating forms of cancer. A chapter on prion diseases and microglia addresses a question of tremendous actuality, since prion diseases in cows is at this moment the major veterinary problem in Europe and has created a considerable social alarm. Glial cell development: origin and phenotype acquisition. Regulation of genes involved in Schwann cell development and differentiation (R. Mirsky, D.B. Parkinson, Z. Dong, C. Meier, E. Calle, A. Brennan, P. Topilko, B. Harris, G. Zoidl, H.J.S. Stewart, K.R. Jessen). Regulation of radial glia phenotype (P. LePrince, G. Chanas-Sacre). Astrocytic intermediate filaments: lessons from GFAP and vimentin knock-out mice (M. Pekny). Glial cells: a target for steroid hormones (R.C. Melcangi, V. Magnaghi, M. Galbiati, L. Martini). Thyroid hormone role on nervous system morphogenesis (F.C.A. Carvalho, A. Gomes, F.R.S. Lima, A.G. Trentin, V. Moura Neto). Early origin and colonization of the developing CNS by microglial precursors (M.A. Cuadros, J. Navascués). Microglia: its development and role as a neuropathology sensor (E.A. Ling, Y.K. Ng, C.H. Wu, C. Kaur). Colonisation of the human central nervous system by microglia: the roles of chemokines and vascular adhesion molecules (D. Male, P. Rezaie). Myelination, demyelination and remyelination. Astrocyte influences on oligodendrocyte progenitor migration (O. Schnädelbach, J.W. Fawcett). Tenascin-R as a regulator of CNS glial cell function (P. Pesheva, S. Gloor, R. Probstmeier). Process extension and myelin sheet formation in maturing oligodendrocytes (P.C. Buttery, C. ffrench-Constant). Recent advances in human perinatal white matter injury (S.A. Back). Models for demyelination (A. Van Der Goes, C.D. Dijkstra). The response of adult oligodendrocyte progenitors to demyelination in EAE (R. Reynolds, I. Cenci Di Bello, M. Dawson, J. Levine). Neural precursors and demyelinating diseases (L. Decker, F. Lachapelle, A. Baron-Van Evercooren). What roles do growth factors play in CNS remyelination? (R.J.M. Franklin, G.L. Hinks, R.H. Woodruff, M.T. O'Leary). Glial-neuronal interactions. Molecular mechanisms of interactions between radial glia and neurons (B. McGrath, C. McCann, S. Eisenhuth, E.S. Anton). Connexins and gap junctional communication in astrocytes are targets for neuroglial interaction (N. Rouach, C. Giaume). Glial signalling in response to neuronal activity in the leech central nervous system (J.W. Deitmer, C. Lohr, F.C. Britz, J. Schmidt). Glial cells as active partners in synaptic functions (A. Castonguay, S. Lévesque, R. Robitaille). Calcium signaling in retinal glial cells and its effect on neuronal activity (E.A. Newman). Neuron-astrocyte cross-talk during synaptic transmission: physiological and neuropathological implications (P. Bezzi, M. Domercq, S. Vesce, A. Volterra). Regulation of glutamate transporters in health and disease (G. Gegelashvili, M.B. Robinson, D. Trotti, T. Rauen). Ionotropic glutamate receptors in astrocytes (G. Seifert, C. Steinhäuser). Metabotropic glutamate receptors in freshly isolated astrocytes from rat hippocampus (H.K. Kimelberg, M. Zhou, Z. Cai, G.P. Schools). The pleiotropin/midkine family of cytokines: role in glial-neuronal signaling (L. Haynes, M. Rumsby). The nitric oxide/cyclic GMP system in astroglial cells (M.A. Baltrons, A. García). Glial diffusion barriers during aging and pathological states (E. Syková). Glial response to injury and molecular mechanisms of neuroprotection. Glial cells responses to lysophospholipids bound to albumin in serum and plasma (A. Nadal, E. Fuentes, P.A. McNaughton). Glial activation in the immature rat brain: implication of inflammatory transcription factors and cytokine expression (L. Acarin, B. González, B. Castellano). Role of nuclear factor Kappa B in neuropathological mechanisms (D.F. Cechetto). Ischemia: astrocytes show their sensitive side (R. Fern). Adaptative responses of spinal astrocytes to oxidative stress (P. Cassina, H. Peluffo, L. Barbeito). Glial expression of heat shock proteins (HSPs) and oxygen regulated protein (ORPs) (F.R. Sharp, M. Bernaudin, M. Bartels, K.R. Wagner). Nitric oxide-mediated mitochondrial impairment in neural cells: a role for glucose metabolism in neuroprotection (J.P. Bolaños, P. García-Nogales, V. Vega-Agapito, M. Delgado-Esteban, P. Cidad, Á. Almeida). Keeping TNF-induced apoptosis under control in astrocytes: PEA-15 as a "double key" on caspase-dependent and MAP-kinase dependent pathways (D. Zvalova, E. Formstecher, M. Fauquet, B. Canton, H. Chneiweiss). Cytokine-mediated inflammation and signaling in the intact central nervous system (I.L. Campbell). Inhibition of nitric oxide production for down-regulation of CNS inflammation and demyelination (T. Brenner, F. Pinto, O. Abramsky, R. Gallily). Microglial chemokines and chemokine receptors (P.J. Gebicke-Haerter, O. Spleiss, L.-Q. Ren, H. Li, S. Dichmann, J. Norgauer, H.W.G.M. Boddeke). The role of chemokines and chemokine receptors in CNS inflammation (C.J.A. De Groot, M.N. Woodroofe). Signals regulating neurotrophin expression in glial cells (U. Otten, P. März, K. Heese, C. Hock, D. Kunz, S. Rose-John). Microglial signalling cascades in neurodegenerative disease (J. M. Pocock, A.C. Liddle). Repair and regeneration. Transcription factors in nerve regeneration (P. Küry, F. Bosse, H.W. Müller). The role of astrocytes in axonal regeneration in the mammalian CNS (M. Giménez y Ribotta, V. Menet, A. Privat). Chondroitin sulphate proteoglycans: inhibitory components of the glial scar (R.A. Asher, D.A. Morgenstern, L.D.F. Moon, J.W. Fawcett). Axon regeneration across the dorsal root entry zone (M.S. Ramer, S.B. McMahon, J.V. Priestley). Transplants of olfactory bulk ensheathing cells promote functional repair of multiple dorsal rhizotomy (J.S. Taylor, V.C. Mu&ncaron;etón-Gómez, R. EguRa-Recuero, M. Nieto-Sampedro). Regulatable and cell-type specific transgene expression in glial cells: prospects for gene therapy for neurological disorders (M. Castro, A. Hurtado-Lorenzo, P.Umana, J.R. Smith-Arica, A. Zermansky, E. Abordo-Adesida, R. Löwenstein). Therapeutical approaches to tumours, viral and prion infections. Immune escape of gliomas (P.R. Walker, P.Y. Dietrich). Clinical trials of adenoviral-mediated suicide gene therapy of malignant gliomas (D. Nanda, M.J. Driesse, P.A.E. Sillevis-Smitt). Gene therapy of glioblastomas: from suicide to homicide (G. Finocchiaro). Glial cells as targets of viral infection in the human central nervous system (B. Schweighardt, W.J. Atwood). Pathogenesis of prion diseases - possible implications of microglial cells (F.L. Heppner, M. Prinz, A. Aguzzi).